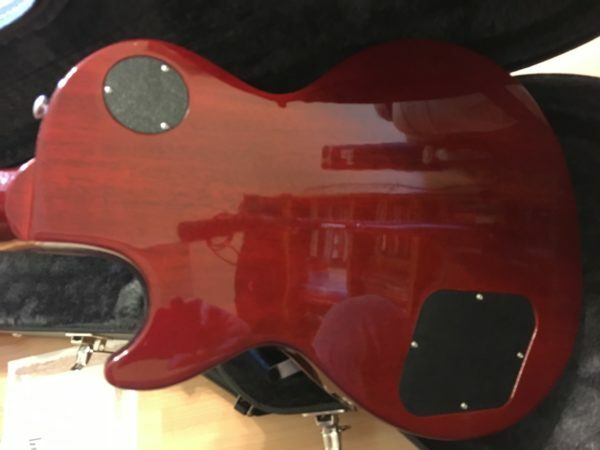 New to Roadhouse Vintage, 2016 Gibson Joe Bonamassa Les Paul Tomato Soup Burst. Hand signed, #9 of only 50 that were made. You probably won’t find another one available and this one is in MINT condition with all the certificates and candy that comes with it. 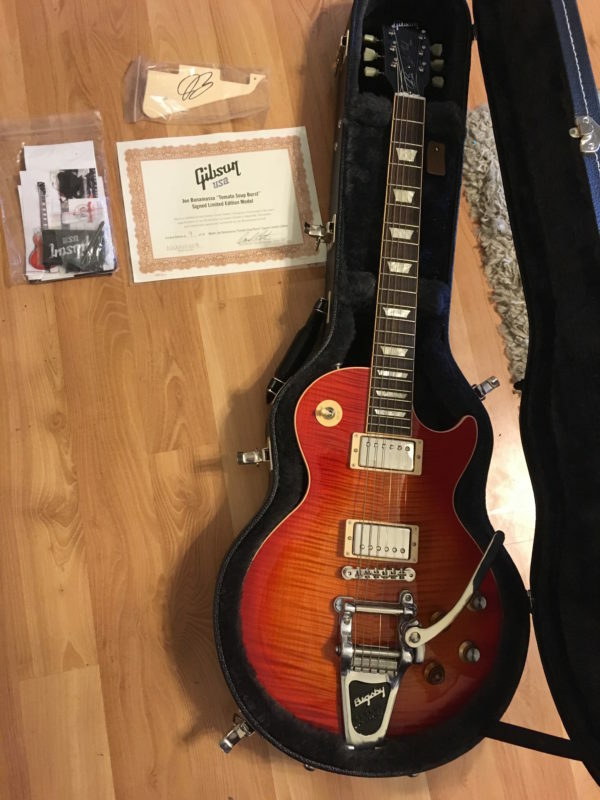 The Gibson Joe Bonamassa Les Paul “Tomato Soup Burst” Signature solid body electric guitar is both a player’s guitar and the crown jewel of any Gibson or Joe Bonamassa fan and collector. 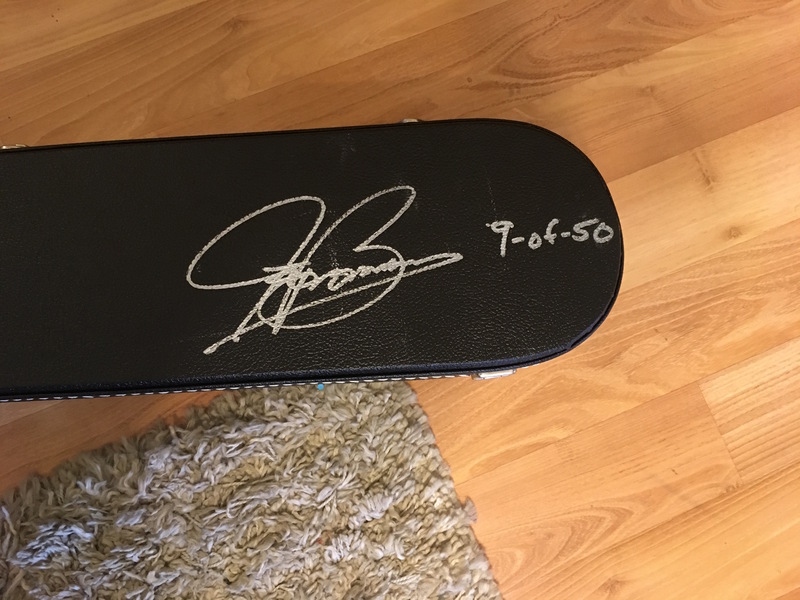 These guitars are a part of a highly limited 50-piece run that are hand-signed by Mr. Bonamassa himself. 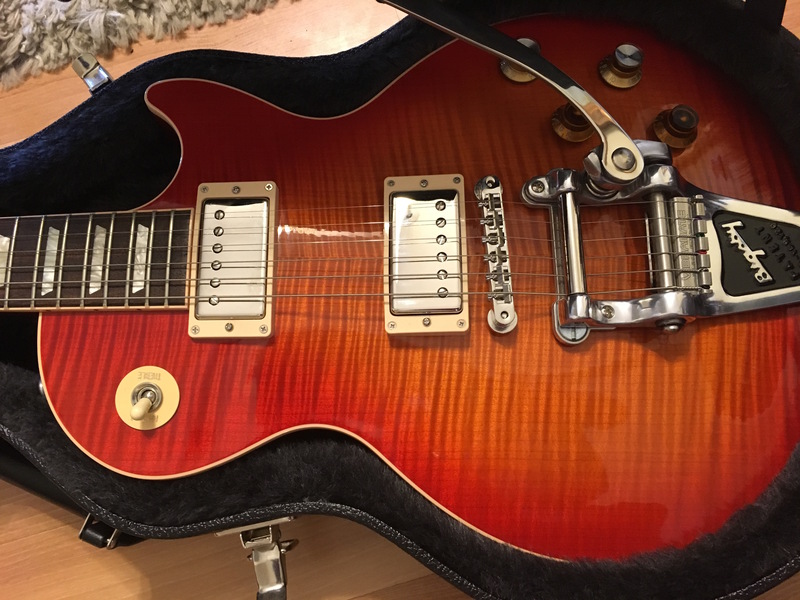 Joe loaded the Tomato Soup Burst Les Paul with two proprietary Seymour Duncan humbucking pickups and a Bigsby B7 Vibrato. 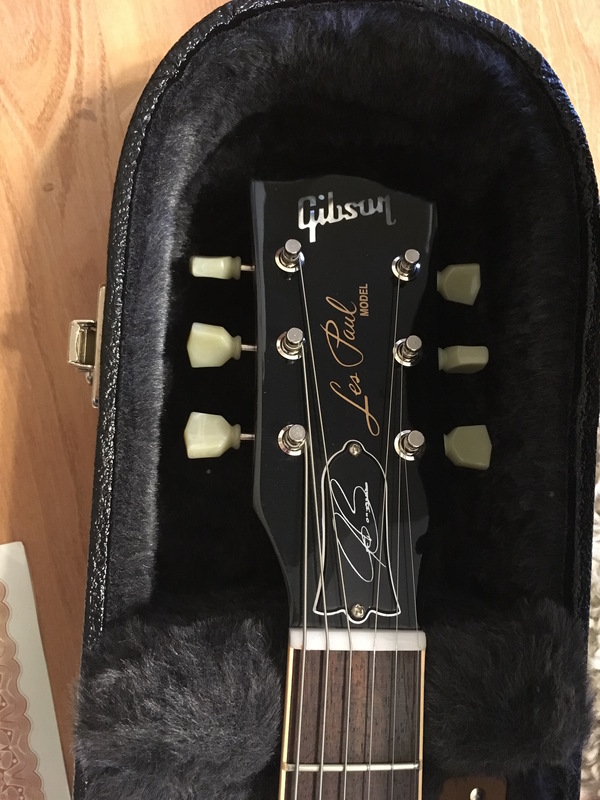 The Bigsby can be removed without leaving any visible holes or markings, and Gibson also includes a traditional stop tailpiece so if a Bigsby isn’t your thing, you can revert to the traditional Les Paul-style bridge and tailpiece setup.The Joe Bonamassa Les Paul “Tomato Soup Burst” Signature Limited Edition may be the quintessential collector’s piece for the die-hard Bonamassa fan. 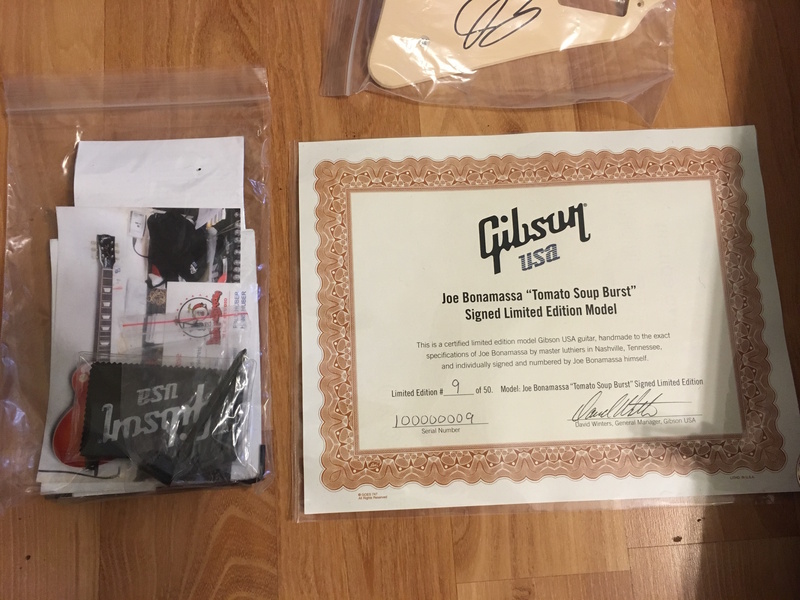 Highly limited run Only 50 of these Joe Bonamassa Les Paul “Tomato Soup Burst” Signature Limited Editions are being distributed worldwide, with each receiving its own unique serial number. The case is hand signed and numbered by Joe Bonamassa. 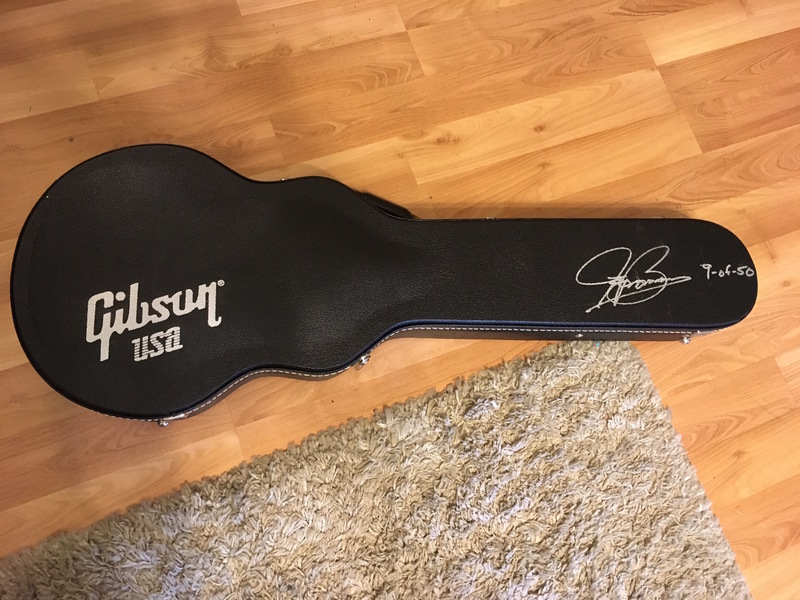 And you’ll find a signed pickguard inside the case. At Joe’s request, the pickguards have not been mounted to allow you to decide how you prefer the instrument to look. Roadhouse Vintage has only one of these collectors’ pieces, so grab yours now. 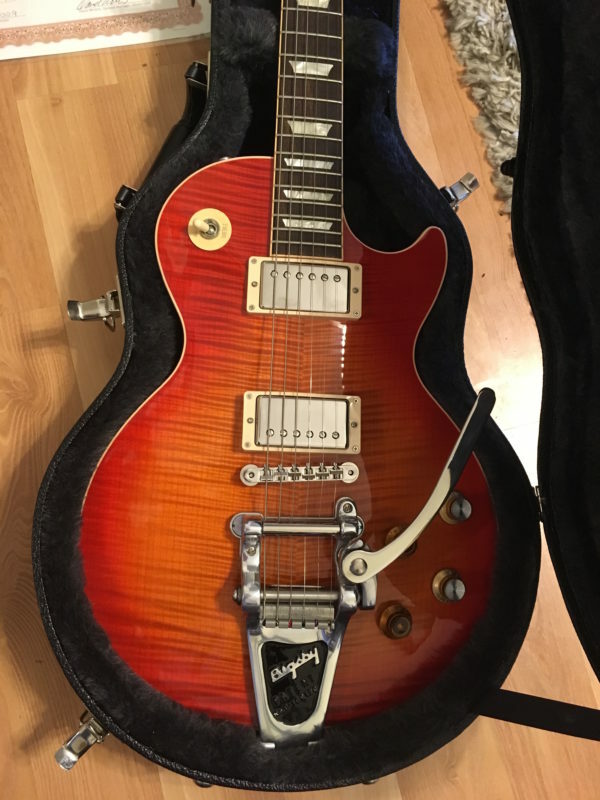 The basis of the Joe Bonamassa Les Paul “Tomato Soup Burst” Signature is a great ’60s-style Les Paul. 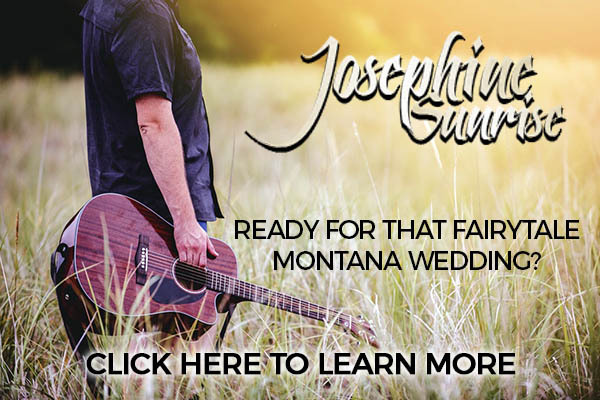 Every detail has been meticulously specified by Joe to sound and play like those highly sought after vintage instruments. 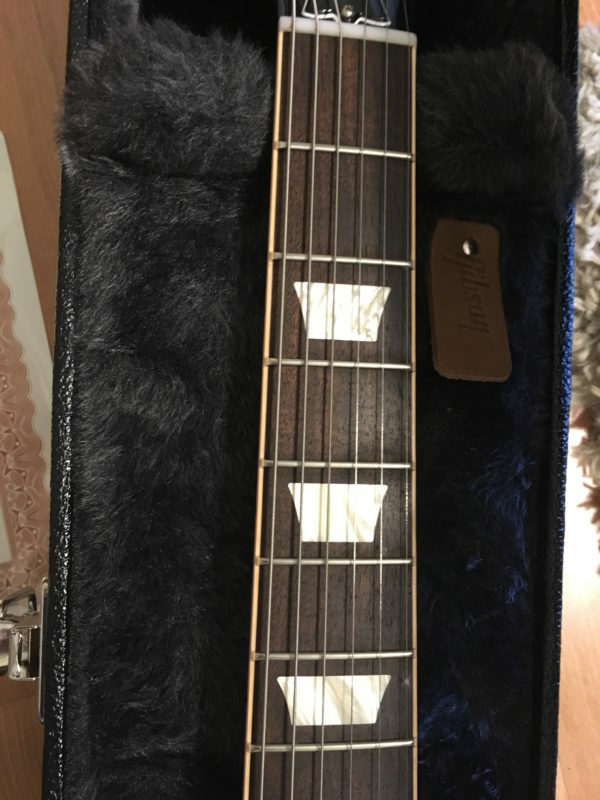 A SlimTaper neck profile is among the most comfortable and popular offered by Gibson, and the electronics cavity has been handwired with period-correct orange drop capacitors. The AAA flame maple top caps the mahogany body, making a stunning visual statement. 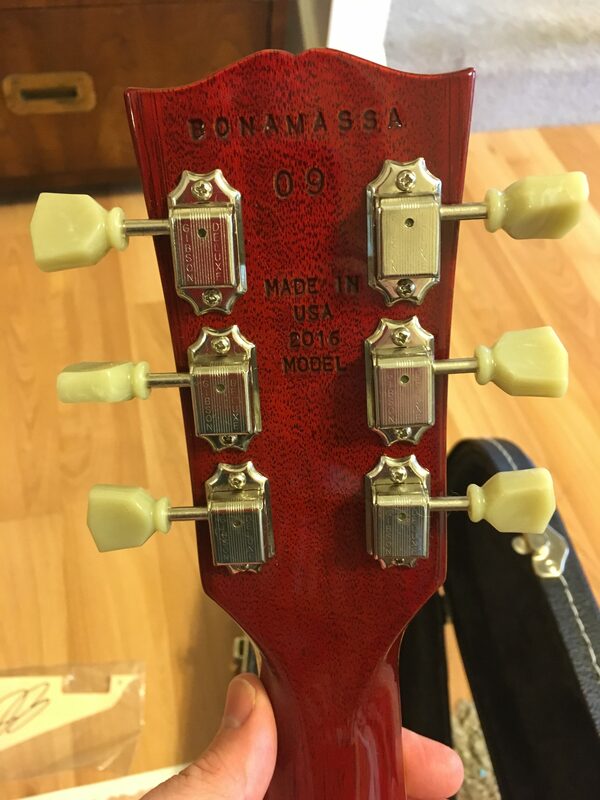 The power of the Joe Bonamassa Les Paul “Tomato Soup Burst” Signature comes courtesy of a pair of proprietary Joe Bonamassa signature Seymour Duncan humbucking pickups. The Duncan 52-Nc and 53-Nc humbuckers deliver the clear-but-muscular performance of many of Gibson’s vintage PAF designs, but tweaked to Joe’s preferences. And you’ll only find these pickups on the Tomato Soup Burst LP. Get one in your hands and get closer to Joe’s iconic tone. The LP Bonamassa Signature “Tomato Soup Burst” is a highly limited piece of Gibson and Joe Bonamassa history.